May 10th 2017 | 16:00 p.m. - 19:30 p.m. In a world driven increasingly by business disruption and economic downturn, Banks are facing unique challenges which are becoming more complex by regulatory directives. 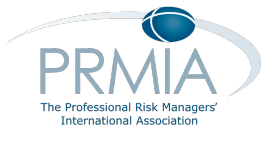 In this event PRMIA & SAS wants to give an overview and to discuss the most important Banking & Regulatory Trends and Challenges for Banks in 2017 in Greece and the implication of risk management. Don't miss our meeting on May 10th and get important updated on non performing loan exposure, regulation requirements, model risk management, IFRS 9 and an interesting C-level panel discussion on all risk topics which matters.